We’re a friendly crew of designers and developers, looking to deliver the highest quality outcomes for clients around the world. We’re passionate about digital and actively pursue our own projects — encouraging creativity, experimentation and exploration in everything we do. We don’t have a sales team. We don’t do overtime. We don’t outsource. And we don’t sacrifice quality for profit. We value relationships and real human experiences. We turn up each day because we care about what we do, and believe an enjoyable, creative workplace with like-minded people is the secret to high-quality strategy and output. Outside of digital we’ve been known to host board game nights, group fitness and the occasional yoga session, while also enjoying the oddskydive,mountain climb and awkwardgroupphoto. 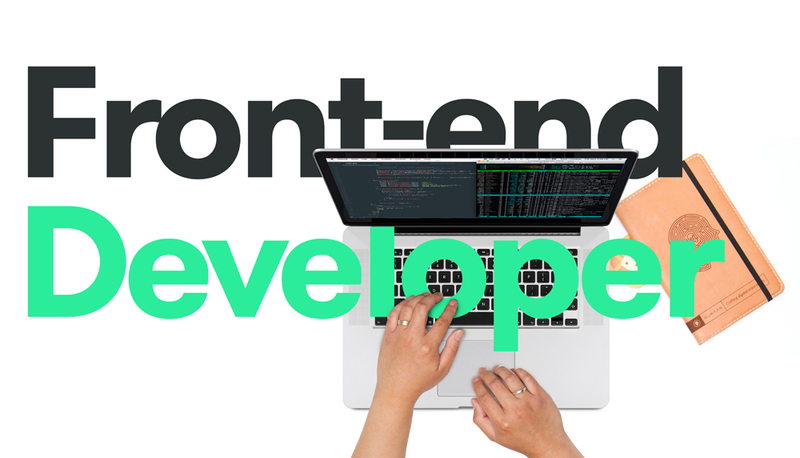 You’re a motivated and versatile front-end developer with up-to-date savvy in HTML, CSS, jQuery and accessible coding practices. Ideally you’ll have experience with Git, Sass, and a bundler like Gulp or Webpack. You’ll get extra credit if you’re familiar with ReactJS or ReactNative, Vue or PHP. You have 3+ years’ experience working in web, demonstrate excellent communication skills, and have a knack for managing your time and priorities. Most of all, you thrive in a collaborative environment, you’re not afraid to learn new things, and you can execute to a very high standard. You get bonus points if you understand the fundamentals of Mario Kart Battle Mode, have skills or hobbies outside of digital or can impress us with your latte art. We’re located in a sunny office in the heart of Northbridge, you’ll sit in an intimate team setting amongst like-minded individuals who love what they do. You’ll enjoy great coffee on the house, work on a setup of your choice, and collaborate on websites, apps and things we haven’t thought of yet. We pay a competitive salary based on experience, provide an awesome work environment, and help you grow in your profession. 👉 More about us and what we do. a link to your website or 2-3 examples of your best work. You must be legally eligible to work in Australia, speak fluent English, and live in Perth. Please, no recruiters or Word documents.